Please note that avocados produce more heat than bananas! Cooling may be slower than is needed when using banana rooms to ripen avocados. Early season avocados may take longer to ripen than middle to late season ones. Mature green avocados should be shipped at 5 to 10.5°C, pulp temperature. Before ripening begins, the fruit pulp temperature should be raised to 18-20°C. If not using pressurized ripening rooms, air stack the boxes (at least 2″ between boxes) to have proper air circulation. Leave 0,5 m feet between walls and pallets and at least 15 cm between pallets. Late season fruit: 12-24 hours. To achieve 100 ppm, the generator setting will depend on the size of the ripening room. 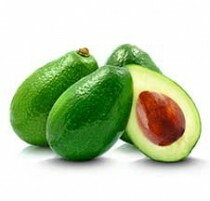 *Here’s where to find avocado firmness testers: QA Supplies. Humidity is very important. It should be maintained at 90-95%. Carbon dioxide will build up during ripening. Anything above 1% may retard ripening or cause “checkerboard” ripening within the room. If automatic ventilation is not in place, be sure to vent approximately every 12 hours by opening the doors for 20 minutes even while applying ethylene. Check pulp temperature at least twice per day and maintain proper pulp temperature. The fruit should be ready to ship within 3-6 days depending on the season, pulp temperature and degree of firmness. Ripened fruit may have the stem end button become more pliable indicating the softness process is beginning. Once ripening has reached the desired degree of firmness, lower the pulp temperature to 4.5 to 5.5°C. CAUTION: Do not hold mature green, unripened avocados at pulp temperature below 4.5°C. Chilling injury will occur, and the longer avocados are held at low temperatures, the more severe the injury that will be caused. Chilling causes grayish-brown discoloration of the skin and flesh. If chilled before ripening, the fruit will not ripen properly.Ripened avocados are less susceptible to chill damage; they can be stored as low as 2°C.